I have always struggled with my weight since I was younger. There came a point in my life when I couldn’t take it anymore. I was battling with depression and was dealing with a family tragedy. I had the meltdown of all meltdowns and knew I needed to do something and change how I was living my life. About 8 years ago I started a journey that would forever change me. I joined weight watchers and within 10 months was down 40 lbs. I loved it. But after a few years of maintaining my weight with WW, I became bored. I was eating the same meals and doing the same workouts at the gym. My body was getting tired of it. That’s when my best friend convinced me to join CrossFit and eventually try out counting Macros. I instantly became addicted. I have always struggled with being comfortable in my own skin. I never felt pretty enough, thin enough, strong enough (mentally and physical). But CrossFit has challenged me in ways I never thought possible and am doing things I once thought I never had the mental or physical capacity to do. I have gained confidence in myself that never existed. I love CrossFit, but more importantly I love MY CrossFit; I love Paradise. I show up everyday because of the people I am surrounded by there. They motivate me and push me so far beyond my limits that I even surprise myself a lot of the time. Every person there has become my family. We literally bleed, sweat, and shed tears with each other. Every so often a picture shows up on my Facebook from 8 yrs ago and then I see what I look like now. 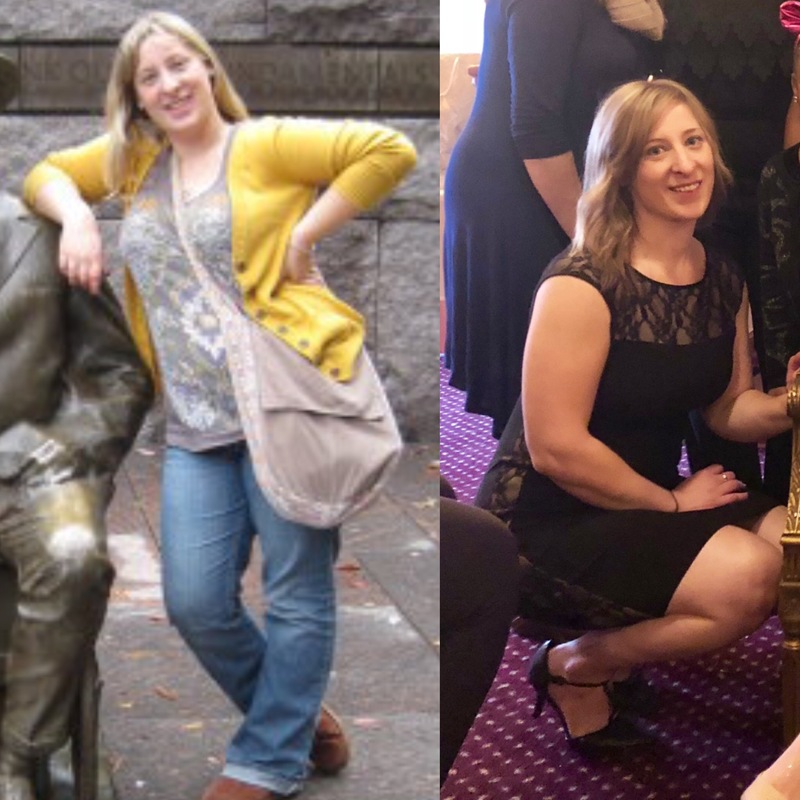 There is no denying by looking at the pictures how much happier I am with myself and with the woman I have become. I stay motivated when I see those old pictures. I know I never want to go back and I count my blessing everyday for the people I have met over the past two years.